The Volkswagen Jetta is quite popular around Warwick, West Warwick, and Providence, and it’s easy to see why. The Jetta made its debut back in 1979, so it’s an icon in the compact sedan segment. Now, the Jetta is in its seventh-generation, and the 2019 model year has a refreshed exterior design, new features, and is more spacious. But if you still prefer the design of the 2018 model, our inventory is stocked and ready for you to view. For our East Providence drivers who don’t know which model is right for their particular driving style, we’re here to help! When it comes to performance, the 1.4-liter turbocharged and direct-injection TSI engine is the same in both models, but the 2019 Jetta’s transmissions are new. The 2019 Volkswagen Jetta comes with your choice of an available eight-speed automatic transmission. The 2018 version offers an available six-speed automatic transmission and pumps out a little more horsepower. If safety is your number one priority, you’ll be glad to know that both model year Jetta’s come equipped with plenty of available driver assistance technologies. Some of these technologies include Autonomous Emergency Braking, Blind Spot Monitor with Rear Traffic Alert, High Beam Control, as well as the Lane Keeping System. The 2019 Volkswagen Jetta will be arriving soon, but if you need to drive away in a Jetta now, we have plenty of 2018 models for you to explore today. 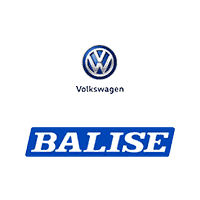 Visit Balise Volkswagen serving Pawtucket and Attleboro to take a test drive!